The tax treatment of workers with multiple jobs may be reformed as part of proposals by the Office of Tax Simplification (OTS) to more closely align National Insurance (NI) and income tax. The current system of NI largely operates on a per job – rather than per person – basis, allowing a worker with two jobs to potentially earn twice as much as a person with one job before paying any NI. Proposed simplifications might address this yet would, when considered in isolation, inevitably raise the taxes of workers with multiple jobs. 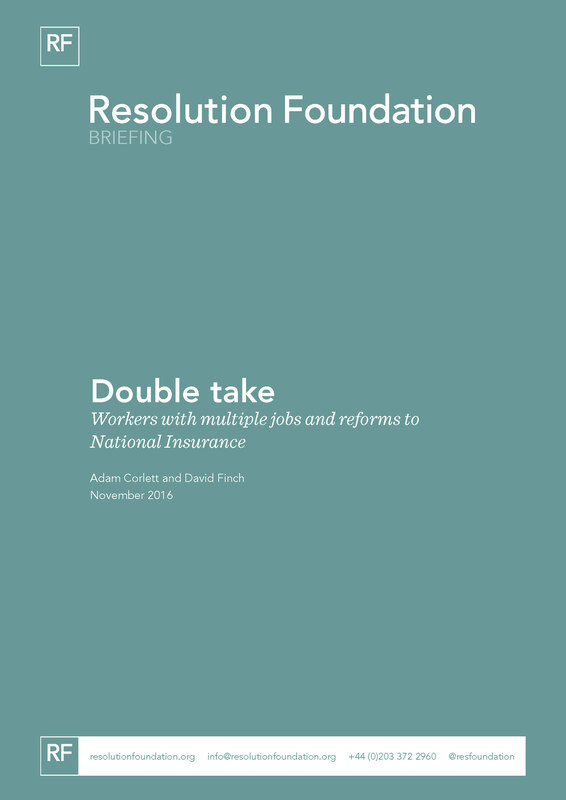 In light of these possible changes, as well as interest in whether the nature of work is shifting towards one of multiple ‘gigs’, we present in this briefing note a wide range of findings about the number and characteristics of workers with multiple jobs. The proportion of workers doing multiple employee jobs has fallen particularly far, and half of those with multiple jobs are now self-employed in one or all of their jobs. Looking at families rather than individuals, workers with multiple jobs are more likely to live in richer households. This change in how NI works could by itself raise £380 million in extra NI (based on 2014-15 data), with an overall net effect on the Exchequer of £360 million when taking into account the resultant increase in Universal Credit entitlement (assuming this system is in place).